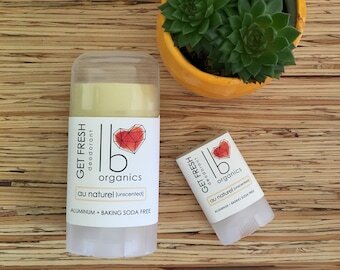 Looking for some deep moisture for your dry skin? 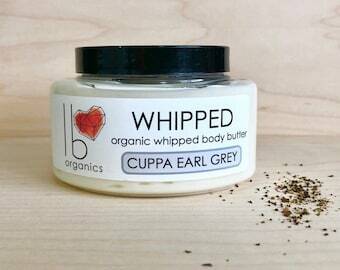 Then LB Love Organics Whipped is for you! This organic whipped body butter has a uniquely light and fluffy texture that is 100% pure moisture. 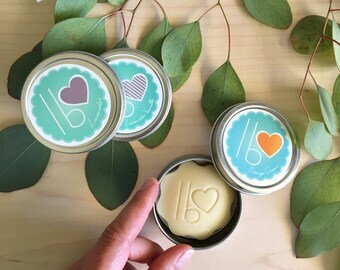 No water, chemicals, or preservatives added: just raw shea butter, organic coconut oil, organic sunflower oil, a pinch of arrowroot powder and essential oils. You work so hard to put good things IN your body, so put good things ON your body, too! 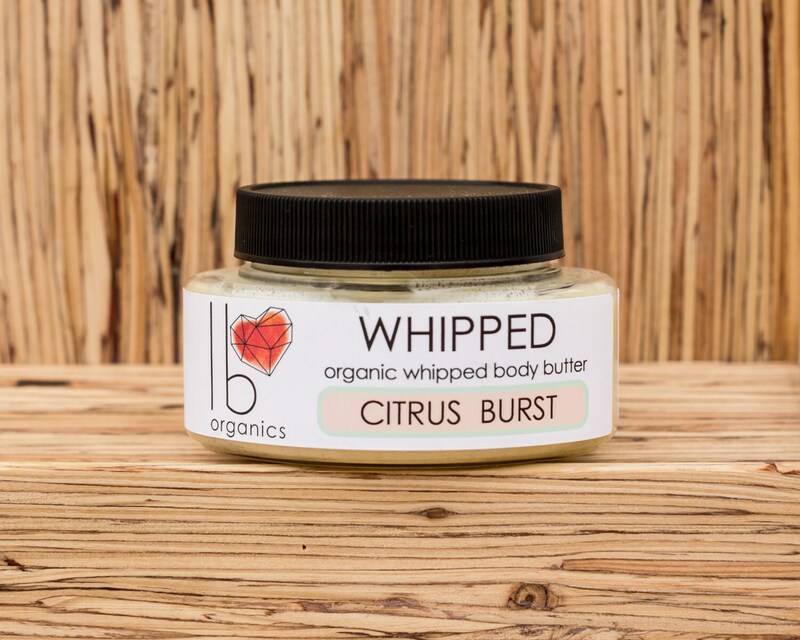 Citrus Burst is a refreshing blend of pure grapefruit, lime, orange, and may chang essential oils. These oils have tremendous mood-boosting power! We do not use fragrance oils of any kind, since they are chemicals, and are not health-enhancing. A few notes: no added water = no preservatives needed, and that is a good thing. It also means the rich moisture of Whipped is very concentrated, so a little goes a long way. Just a dab will do you! Avoid introducing water to contents. Keep out of extreme heat and direct sunlight, since it will get melty and lose its fluffy whipped texture. But don't fret! If it happens, pop the closed container in the fridge for 15-30 minutes and the oils will set back up. I really like this body butter! It has a nice texture to it and really hydrates. I got the citrus scent, And it’s very strong (which I don’t mind), but if you’re not to fond of the citrus smell this scent isn’t for you. currently 24 weeks pregnant , and I love knowing exactly what I’m putting on my body. Nice and clean! This is my ‘Go To’ body lotion. I LOVE how this smells and how soft it makes my skin feel. This is an amazing product and this shop definitely have amazing customer service :) I love this product! Absolutely in love with this body butter.